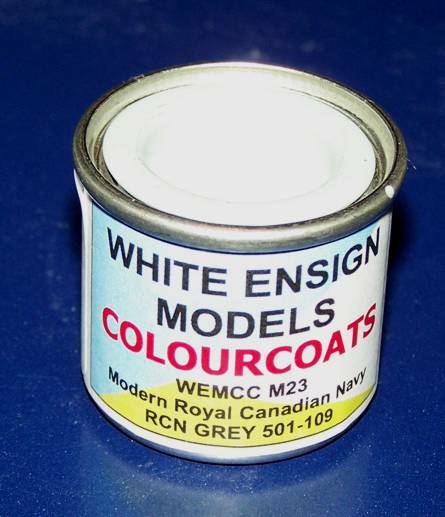 Flat Enamel paint custom mixed by the producers of White Ensign Models Colourcoats line of Naval paint colours. Available only through The Resin Shipyard to complete your models of modern Canadian Ships. NOTE: The tins say Modern Royal Canadian Navy, RCN Grey 501-109. Sorry, this paint is not available for wholesale.